At the 3rd Annual World Riba Conference on Riba, I was honoured to be interviewed by Amirul Haji Mohamad - Consultant Producer for The Capital TV. The video clip will be aired on the program "Islamic Finance." The Capital TV offers a breath of fresh air in the electronic media - daring to cover topics that mainstream media dismiss as "not newsworthy." The Capital TV is the first and only business TV in Malaysia that gives you in-depth and balanced coverage of business and finance issues as well as a focusing on entrepreneurship and the executive lifestyle in Malaysia and the region. 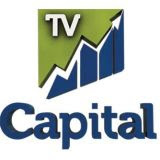 The Capital is a new business and finance TV channel like no other. It is the first homegrown business TV channel in Malaysia that offers in-depth coverage of business and finance issues. It is broadcasting in full HD to TV screens on channel HyppTV Channel127 HD. Our news coverage will be different than the news on other channels as it offers advanced analysis and coverage on issues that affect the business community. As an independent channel, we offer a balanced perspective of the events and issues that will inform the audience and the decision makers. The channel will provide a variety of programs that will appeal to our target audience. From breaking market news, high level round table discussion to behind the scene look on business celebrities. The Capital news offers a balanced perspective of news affecting the nation and countries in the region. As a home grown business TV channel, The Capital aims to support the country’s nation building activities. In order to achieve that, The Capital will seek to inform the public by accepting wide varieties of opinions in its programmes. It will be the business channel that projects positive attitude in business. We applaud successes and celebrate new opportunities. If You have a business story to share, contact The Capital TV as they proudly share successful business stories. "Our target audience comprises of professionals, executives and business owners. If you have any business story to share with us and the viewers, write to us at news@capitaltv.my and together we can enrich the local business community."